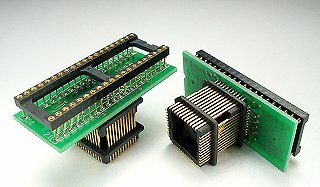 PLCC emulator adapter for 27C210-280; 27C1024, 2048, 4096 devices. DIP socket to PLCC plug. Top Side; Pins: 40 Pitch: 0.100"